The Ministry of Justice has now formally confirmed the closure of Tameside County Court and Family Court. There had been ongoing consultations with the Government as to whether or not 91 courts across the country were to be closed with a view to saving costs, the courts being found on 64 different sites. The intention within Greater Manchester is to close most of the courts within the Greater Manchester area and centralise all of the business in the Manchester Civil Justice Centre or in the Manchester Crown and Magistrates Courts. 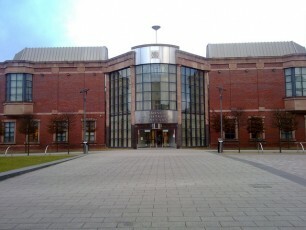 On 11 February, the Ministry of Justice formally confirmed that Tameside County Court at Henry Square is to be closed and that the first round of closures will take place from February to June 2016. In addition, Oldham County Court and Oldham Magistrates Court are to be closed in 2017 at which time, all Magistrates work from Oldham will move to Tameside Magistrates Court. Stockport County Court and Stockport Magistrates Court both of which were under the initial review with a view to closure have been reprieved. The Government says that the closure of the local courts is an attempt to modernise the system which it believes to be unwieldy, inefficient, slow and expensive to maintain. However (in the case of Magistrates Court), it also represents a departure from the long hailed principle that the local Magistrates shall be people from the local community, who are aware of the stresses within the locality, and who could understand local behaviour.